IP cameras offer excellent benefits for home security, including ease of installation and advanced functions. However, if not installed or deployed properly, these benefits can be negated. Whether you are installing your own security system, or you are having it professionally installed, be sure that the right cable is being used and that it is installed correctly. Be sure that UTP connected devices (ex. couplers, modular plugs and wall plates) match the Category of the cable used, and that this is done consistently throughout the installation. For optimum performance (by design and specification), cable runs in an IP camera system can only extend up to 295 feet. The bend radius of both Cat-5e and -6 cables must be limited to four times the cable diameter – the acceptable bend radius is no less than 1 inch. The pull tension while installing Cat-5e/-6 cannot exceed 25 pounds. Limit the length before stripping the sheath from a cable in a wall box so that the excess can easily be pushed back into the wall cavity. Do not staple Cat-5e/-6 cable. Use D rings, bridle rings, J hooks and other devices that do not risk altering the outer form or dimensions of the cable. Keep a 6-10 inch parallel distance between Cat-5e and -6 cables and high-voltage wires (120/240VAC). Strip Cat-5e/-6 cables back as little distance as necessary when attaching them to connecting devices. Use either the T568A or T568B connection format and stick to just one throughout the entire installation for conformity. Aside from the proper cable, you must take the surroundings of your security camera placement into consideration. Be sure that the IP cameras you choose are suitable for the environment in which you install it. Be mindful of the different lighting conditions your security cameras will be subjected to when selecting cameras. When considering camera placement, keep in mind the field of view and any obstructions that might prevent a clear view of the area. Be sure there is sufficient network connectivity available in the vicinity of where your camera will be placed. For all outdoor cameras, especially in areas known for lightning, use surge protection. Assure that the PoE power supply you use is adequate for the job. Be sure to compute the power load before making a final choice. To assure the integrity of the camera (especially in areas prone to crime), use vandal-proof housing. Cat-6 UTP is always best, but Cat-5e is a cost-effective alternative, doing an adequate job of handling most video transport needs. Using fiber instead of metallic has its advantages. Foremost, fiber allows you to run camera signals at greater distances and with greater bandwidth than metallic cable can provide. Last but not least, use safe installation practices to assure that everyone goes home at the end of the day. If you are looking for affordable prices on professional security camera installation, give us a call today 888-203-6294. You can also browse our CCTV surveillance selection online at SecurityCamExpert.com. Stay connected with us on Facebook, Google+, Twitter, LinkedIn, and Pinterest. What Are Network IP Cameras? Sure, you’ve heard of network IP cameras, but do you really know what they are? From the outside, network IP cameras look like your standard security camera. However, network IP cameras are much more than what meets the eye. IP stands for “Internet Protocol” which is a practice of transmitting data across a network. In the case of network IP cameras, that data is digital surveillance video. 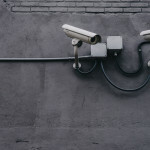 These cameras have their own IP addresses so that they can connect directly to a network, allowing them to function in any location with a network connection. Network IP cameras are connected to a router through an Ethernet cable, which enables two-way communication between the computer and camera. Because the cameras record in digital format, there is no need to convert from analog to digital, allowing for faster transmission. One of the biggest draws of network IP cameras is their capacity to deliver much higher resolution images than analog cameras. Network IP cameras require Network Video Recorders, or NVRs, to record and store data. NVRs allow you to manage and store your recordings on your computer. Because network IP cameras require lots of bandwidth, other IP technology exists where everything can be processed within the camera itself. Attaching an external hard drive device allows you to store data, while removing the need for an NVR and eliminating bandwidth usage. Along with the versatility of being installed wherever a network connection is available, these cameras allow live feed access from remote locations. Remote surveillance provides an added sense of security as you can check in on your feed at any time. If you’re looking for an excellent IP camera, look no further than our Grandstream GXV3672-HD 2MP HD IR IP Camera. For a limited time only, we’re offering this excellent, feature rich IP camera for the low price of $189! This bullet IP camera boasts a 1.2 Megapixel CMOS sensor and HD lens with integrated Power-over-Ethernet (802.3af). With embedded video analytics and SIP/VoIP support, along with support for motion detection and notification on PC client, and a low sale price, this network IP camera is a steal! For more information on our Grandstream GXV3672-HD 2MP HD IR IP Camera, please contact us at 1-888-203-6294. You may also browse our selection of network IP cameras, NVRs, and more online at SecurityCamExpert.com. Connect with us on Facebook, Google+, Twitter, or Pinterest. The switch from an analog system to an IP camera system can be daunting to some people. Since analog systems have been around for some time, many people have grown familiar with the way they work. Learning how to use a whole new system can be difficult. While some may have an easy time converting to the new system, others may be faced with a challenge. The problems posed with switching from an analog to IP camera system can be traced to the system going from hardware to more software. When you’re familiar with secure, physical connections, troubleshooting with IP networking equipment may be fairly difficult. For those accustomed to hardware, it’s harder to see or visualize the problems. For an IP system, when coming across problems, the security team may not be able to troubleshoot on their own. Working with the IT team may be necessary. Personalities may clash simply because these teams are not used to working together, causing more issues to arise. Larger scale roadblocks for upgrading can be cost and down time while switching out equipment. Purchasing a whole new system can be a hefty expense. Also, down time can leave your business vulnerable to threats. However, the benefits may outweigh these hardships. These issues shouldn’t deter you from replacing your old system to an IP system. The best solution is to introduce IP security cameras and equipment slowly. The first step would be to invest in a hybrid video recorder. 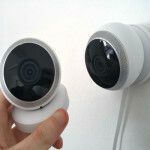 This will allow connection to both analog and IP security cameras. Integrating both types within your system will allow your expenses to be spread over time. This will also allow users time to get familiar with the new equipment without abandoning the former system entirely. And with the new IP security cameras comes new, more advanced features, ultimately improving your security system’s performance. Aside from that, this eliminates down time for your company, keeping your business secure while integrating a new system. Switching to a new system should not be feared. Following these simple tips can ease you into the new software and make the transition much smoother. You will end up with more confident employees and a more advanced system. Find great IP security cameras, IP/Hybrid systems and more online at SecurityCamExpert.com. If you need help finding the right parts or have questions about security systems in general, give us a call at 1-888-203-6294.